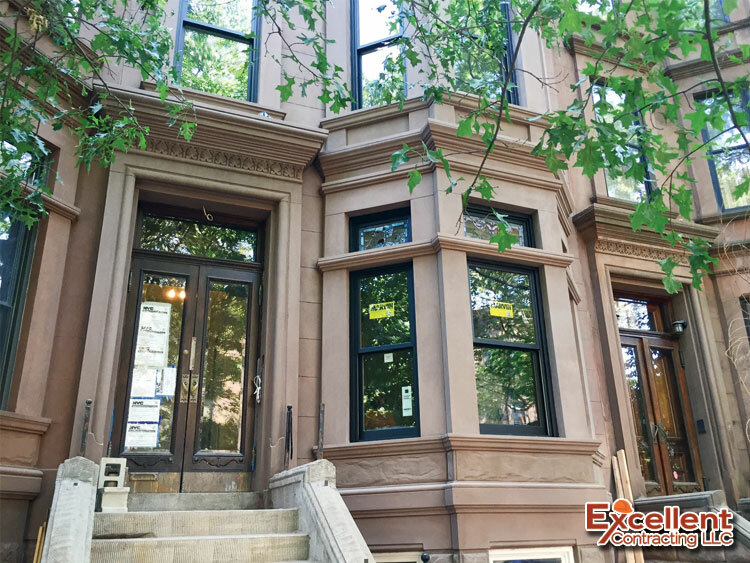 144 St. Johns, Brooklyn – Excellent Contracting LLC. 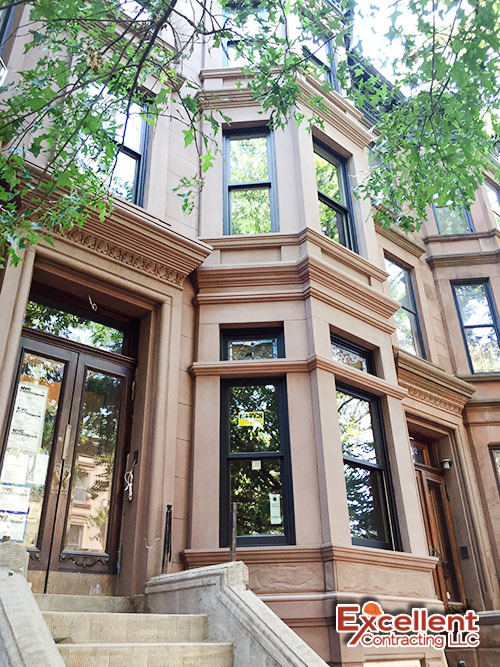 Redone the entire facade including the steps. First chipped off one layer of cement. Then applied the slurry coat followed by the scratch coat. 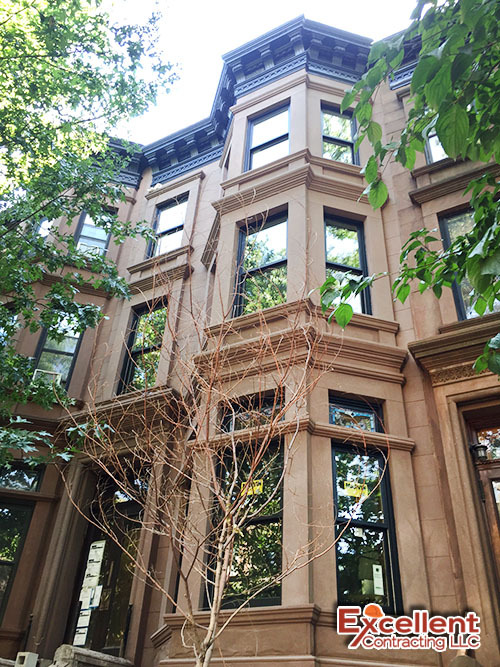 During this process made out all the details and ornaments of the facade. 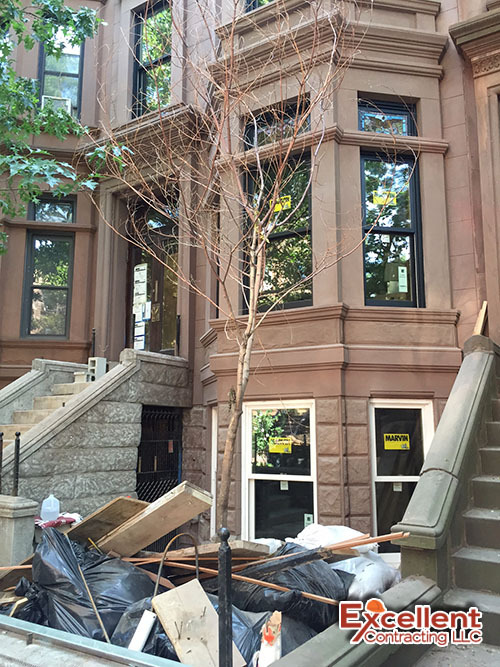 Finally applied the final coat of brownstone cement. 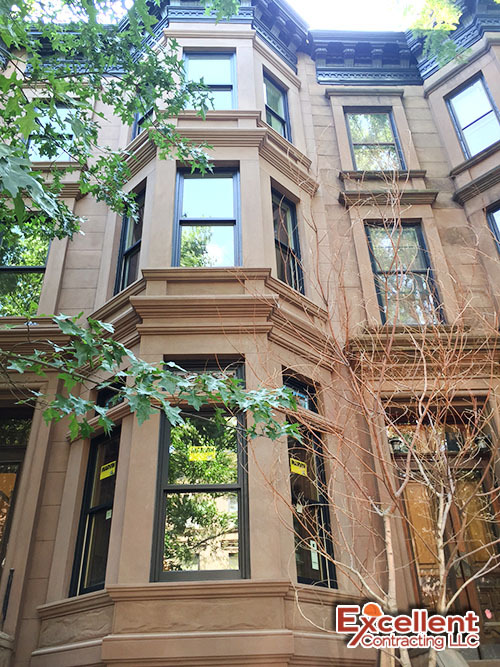 Excellent Contracting Corp. has been doing Landmarks Brownstone Restoration work in NYC for many decades. 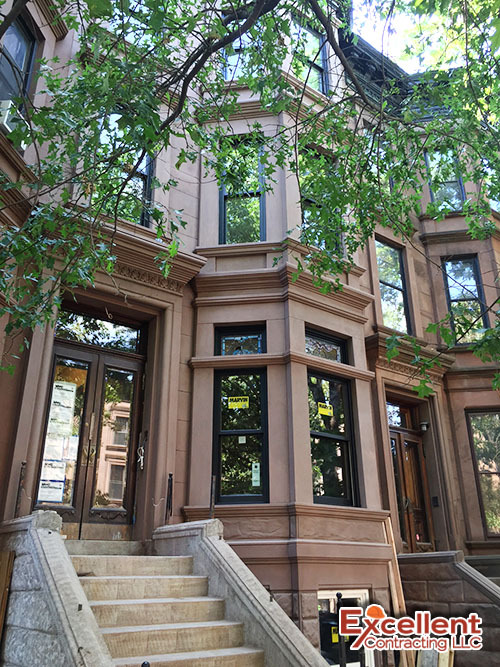 We have preserved and restored historic brownstone buildings in neighborhoods such as Park Slope Brooklyn Heights, Downtown Brooklyn, Clinton Hill and Manhattan area. Copyright 2017 - Excellent Contracting LLC.